A conspiracy to alter brain function in New York's Finger Lakes by means of large antennas emitting frequency-modulated electromagnetic radiation. 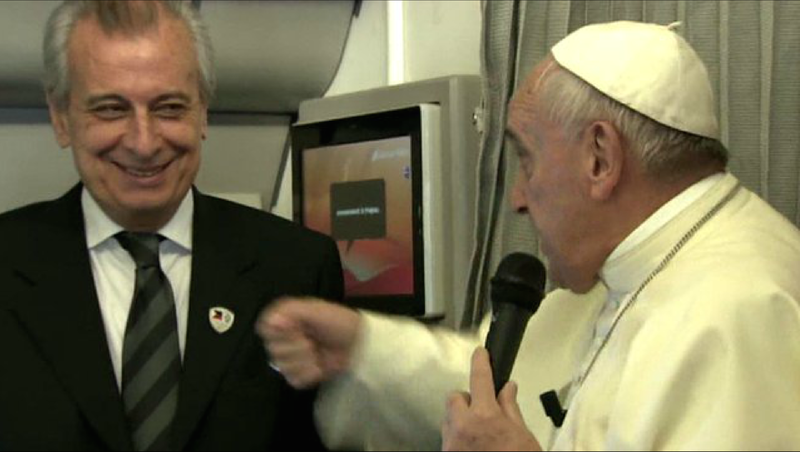 Turning the other cheek, like freedom of speech, has its limits: the Pope demonstrating that punching someone who insults your mother or your religion is “only natural” on Jan. 15, 2015 to the delight of all aboard his plane. Sunday mornings 8-10 AM on WRFI FM 88.1 in Ithaca, 91.9 in Watkins Glen and streaming from WRFI.ORG. Also 10PM-midnight on Geneva Community Radio online. Sleep in on Sunday? We approve! Subscribe to Skeptical Sunday as a podcast. In iTunes, choose "Subscribe to podcast" and paste in "https://skepticalsunday.wordpress.com/feed/". You can also listen to the past several shows in your browser by clicking on the link at the bottom of each show description. Jerry Coyne's "Why Evolution is True"